Just last week, we here at John L. Scott hosted luxury real estate broker Dolly Lenz, at a breakfast for our top luxury brokers. She gave our group some valuable insights into what it takes to acheive such a hig level of sucess. She was extremely impressed with Alan Pope’s market overview, as well as the energy of the Seattle real estate market. Below is an article published by the Puget Sound Business Journal covering the event and featuring several of my remarks about the state of our local market. When Dolly Lenz, called the queen of U.S. real estate, speaks, people listen. And that’s what a select group of John L. Scott Real Estate high-end luxury real estate agents did when Lenz and real estate appraiser and consultant Alan Pope of Alan L. Pope and Associates spoke at a recent breakfast put on by John L. Scott for their top sellers. As vice chairman of Prudential Douglas Elliman in New York City, Lenz has sold more than $7 billion in real estate, more than double the next top agent in the country. This was her first time in Seattle. She loved it and spoke of increasing opportunities in the real estate market. Pope says the market in our metro area is up 15 percent and that he is seeing the same kind of buying frenzy that he saw six years ago. 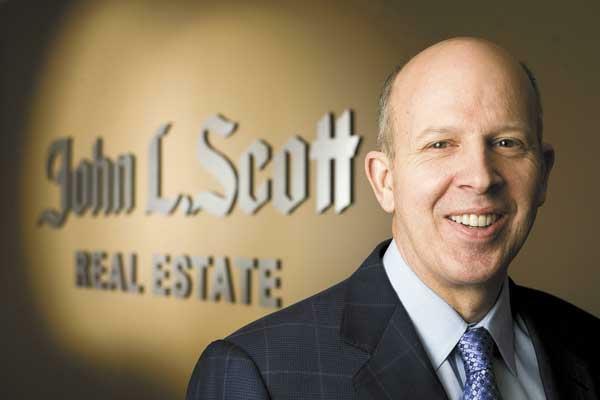 “Yes, it has been a fabulous recovery in the housing market,” says Lennox Scott, chairman and CEO of John L .Scott Real Estate. “I saw it formulating 18 months ago. The confidence of local homebuyers has come back strong,” he says.